You could almost sense it. 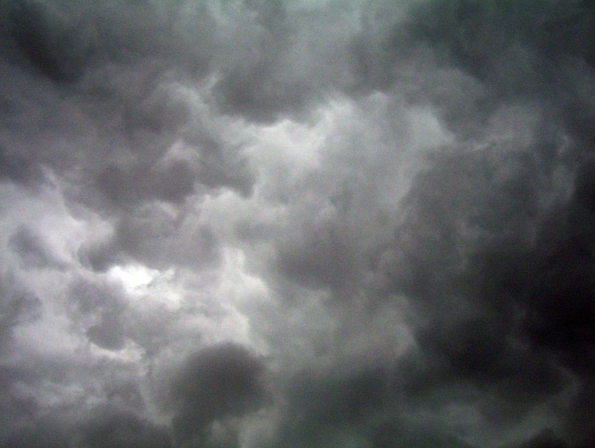 A distant, long-forgotten feeling, far off on the horizon, was turning a black sky a deep shade of purple that, no matter how profoundly dark it remained, was nevertheless definitively lighter than before. At some point, it would shed its opacity and reveal itself, hope, in all its shining, youth-invoking glory. Its vessel? A 7’3” Latvian who could do things that no basketball court had ever seen. Then, of course, came the reckoning, which every Knicks fan, and every basketball fan familiar with the Knicks franchise, should have expected. The purple faded back to black in cannonading fashion on Tuesday night against the Milwaukee Bucks, when, prior to his commandeering of Tim Hardaway Jr.’s soul, Giannis Antetokounmpo presented enough of himself in just the wrong area for Kristaps Porzingis to land awkwardly after finishing a dunk, something he has made routine, and tear his left ACL. The devil is always in the details, the wicked lying in the weeds. There is a relationship one develops with the surreal when watching gigantic people do beautifully abnormal things on a regular basis, and a symbiosis arises between the superhuman qualities of these people and their more mortal facets. We forget how ephemeral that can be until the latter confronts the former, typically in violent fashion. Being a man of Porzingis’ size is, on the basketball court at least, a tremendous luxury, even when considering the average height in the NBA is likely somewhere north of 6’7”. Having his skillset – that of a combo forward more than a traditional center – has put him in position to accomplish viscerally stunning things. Since his debut, he has pushed his own ceiling into the sky, abandoning preconceived notions of what he is supposed to be as a) a big man b) of European origin who c) arrived in the NBA as a scrawny 19-year-old. The promise was always thrilling, and this season, out from under the twin shadows of Phil Jackson and Carmelo Anthony, the man alternatively called KP and/or Three 6 Latvia had finally begun to come into his own. He became New York’s best player, three years after the city booed him at the draft. He was leading the Knicks in scoring. He was leading the league in blocks by a reasonably healthy margin. He had garnered his first All-Star selection. He was poised to return the Knicks to some level of relevance, if not necessarily prominence just yet. Then, the injury bug, which has been fluttering around the league, reared its ugly head, and Porzingis’ development has been stunted for at least the next calendar year. With it go the Knicks’ chances of making the playoffs for the first time since 2013 – not that that matters, and in a sadistic way, this is probably for the best as far as New York’s rebuild goes, both in terms of draft lottery position for this year and Porzingis’ upcoming contract extension eligibility. Still, it was a tremendous gut punch to watch a player of such immense skill and who was finally coming into his own go down the way he did. You knew it as soon as he did. The look on his face said it all, and waiting for MRI results was a formality. His already-troubling injury history was about to open its most notable chapter. Porzingis’ injury was so punishing that it has largely overshadowed the 125-105 beatdown the Oklahoma City Thunder gave the Golden State Warriors last night, their first regular season win in Oracle Arena since 2013 and without their all-galaxy wing defender Andre Roberson, himself also a victim of a season-ending injury. There is so little raw joy on a day-to-day basis in this country, in this news cycle and even in this NBA. We are forced to reserve space in our brains to entertain, for instance, the cockamamie notion that a military parade is something this country needs, wants and should put up millions of dollars to pursue. Happiness is an incomprehensibly cold gun, as it stands now. Kristaps Porzingis was already as universally-loved and embraced as any athlete playing for a New York-based franchise could hope to be. He was getting closer to matching his output with that esteem. Now, the Knicks, having already shipped his best friend on the team off to Charlotte for, hopefully, a Bojangles biscuit and two second round picks, will regress to their Isiah Thomas-era futility. 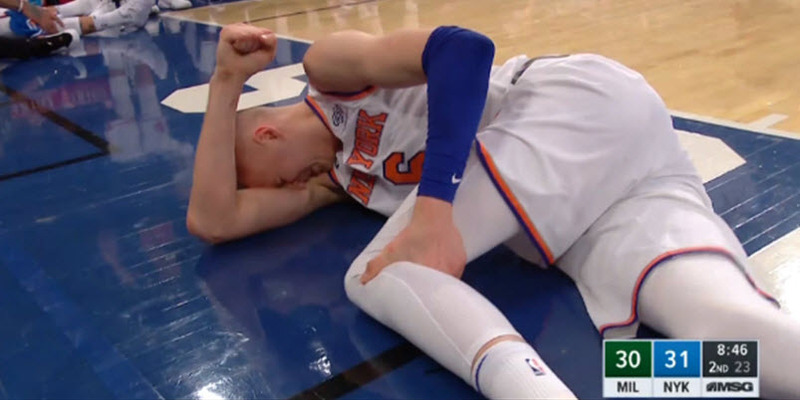 Porzingis, a player formerly of limitless potential, is suddenly human once more, his knee slamming the ceiling after hitting the floor. DeMarcus Cousins tore his Achilles; Kevin Love has a broken hand; John Wall is a bad left knee. All of these players, Porzingis included, were drafted selections of LeBron James’ for the All-Star Game. Not yet has it struck the Warriors, of course. The injury is about as renowned as Cleveland’s spectacular disappearing act against the Orlando Magic, but the Cavs are an exceptional case in all regards, an absurd basketball opera that LeBron James and Dan Gilbert are writing in separate rooms on opposite sides of the house. Nobody knows what the hell their deal is right now.